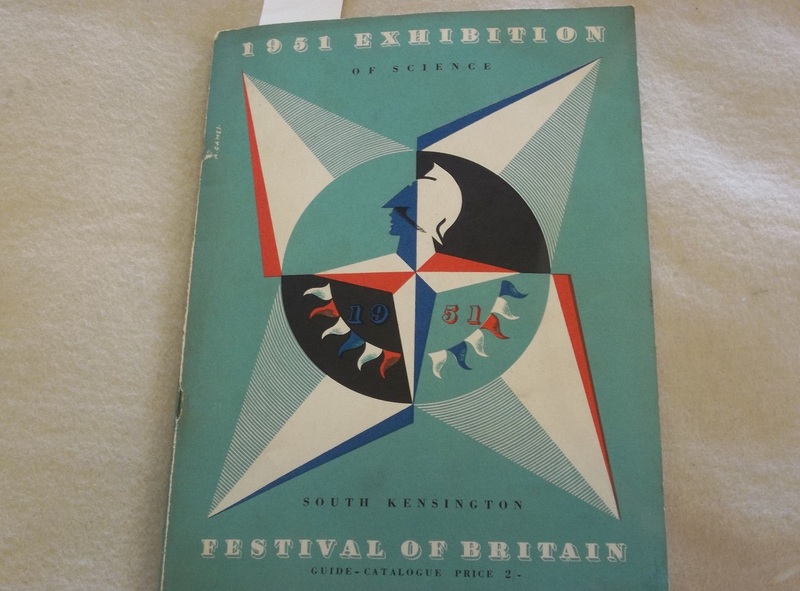 This guide to the 1951 Festival of Britain, as well as two contemporary documentaries, Festival in London (1951) and Brief City (1951-2), show that the Festival clearly inspired contemporary notions of science and the post-war citizen. These sources also show that such notions inspired the development of the Festival itself. They show the importance of modernity in post-war life. For example, according to Brief City, the buildings at the South Bank were very modern in design: the dome was the largest in the world at that time, meaning that its construction involved the use of the cutting-edge of architectural design. Yet Festival in London also linked modernity to traditions and continuity, as Britain was at a “moment poised between the past and the future”. The Festival celebrated products made using the skills of British workmen. The commentator stated that such products were renowned around the world, which invokes a sense that Britain was still able to compete at an international level. This was necessary as a result of Britain’s reduced status as a world power in consequence of the decline of the Empire, and the impact of World War Two, which demonstrated the new limitations to Britain’s military prowess. Therefore, in the eyes of the producers of this film, what the post-war citizen needed to do in order to aid the successful reconstruction of Britain after the war was actually to recognise the best aspects of the country and simply continue these to the best of their ability. The progressive nature of science assisted post-war citizens in this end. Collective input was also required to improve upon Britain’s past greatness. A major way in which to achieve this was through science. Jacob Bronowski, the author of the guide, also emphasised the need to look to the future whilst looking to the past for inspiration. For him, this involved understanding the efforts of great British scientists such as Darwin and Newton, so that their work could be built upon so that citizens come to understand even more about the world around them. His guide would have helped to popularise science as it was educational in nature; when describing complex notions such as the recycling of cells by the body, he used simple analogies so that they would be more easily understood: “The body is like a town; each year some people die and some are born, yet the population remains the same”. As the historian Ralph Desmarais argued, Bronowski wished to counter the bad reputation of science which had developed in consequence of the use of the atomic bomb on Japan at the end of World War Two. Bronowski thus emphasised the magic and wonder of science in order to appeal to as wide an audience as possible, and also demonstrated the usefulness of science in all areas, ranging from industry, for example, by coming to a better understanding of atoms, we can create alloys, which can have more diverse uses than unalloyed metals, to medicine, for instance by helping to develop medicines and techniques to treat illnesses. In his guide, he proved that science was vital to an understanding of ourselves and the world around us. Consequently, its role was as significant in peacetime as in wartime. Another crucial aspect of science for Bronowski was its internationalism. As he stated, the knowledge obtained by scientists belongs “to all mankind”. As F.M. Leventhal stated, the intended international elements of the Festival had to be removed due to a lack of funding, but Bronowski still managed to demonstrate in importance of internationalism: whilst science was key to the development of the nation, scientific knowledge should still be exchanged with other nations in order to learn as much as possible. As internationalism had been a highly significant element of science since the time of H.G. Wells, this again demonstrates Bronowski’s use of the Festival to promote his own interpretations of science and to emphasise the best aspects of the subject. Therefore, continuity was also important with regards to science. However, the documentary Brief City demonstrated a fear that such modernity and continuity might not be so easily achieved. The sombre, dramatic music and desolate scenes shown at the beginning of the film, images of the scene of the Festival after it had finished, invoke a sense that the high hopes and dreams for the nation might have been too optimistic, and also that science did not in reality hold the promise that it had been granted. Visitors, who were shown to be extremely happy in Festival in London, might merely have been caught up in the moment, with little firm adherence to the notions represented at the festival. These fears were perhaps a response to the huge problems that had been prevalent in Britain since the 1930s: the Great Depression, malnutrition, and declining British international status, and perhaps also due to some of science’s negative achievements during World War Two, including the atomic bomb. The virtues of Britain, past and present, might not have been enough to inspire post-war citizens to accept science and contribute to the best of their ability towards change and the reconstruction of the nation. These sources, therefore, show how the Festival was used to instil a more favourable opinion of science in the post-war citizen, and proved that science had been, and would continue to be, vital to the success of the nation. Post-war citizens were expected to contribute towards this end by continuing British traditions and using them in tandem with science. However, the more negative depictions of British life following the Festival in Brief City suggest that, although the Festival invoked a sense of hope for the future, it in no way guaranteed that the future, as it was represented, would occur.